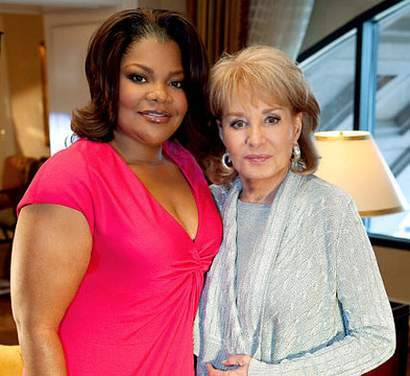 According to online sources, Barbara confided to friends that Mo’Nique was one of her most challenging subjects ever! If you recall, Barbara referred to Mo’Nique’s newborn twins as “creatures” and ultimately took back her statement and called the babies adorable… but not before telling Mo’Nique, “Remember, you come and go. We stay!” in front of a somewhat surprised audience. Fast forward to the present and Mo’Nique’s recent inauguration into Hollywood history…Mo never forget about that comment, but said she would do the interview as long as her demands were met. “She had very specific hair and makeup demands,” claims another source. “She also insisted that Barbara fly down to Atlanta. Barbara usually goes to her subject’s home, whether it’s Tom Cruise or Julia Roberts.